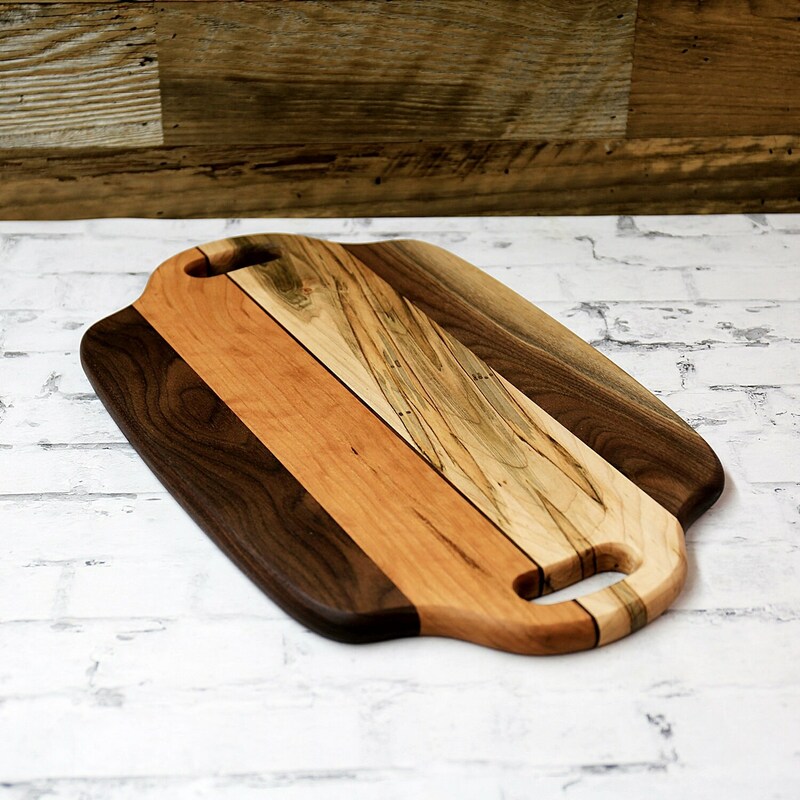 You are purchasing the serving board in the photos. 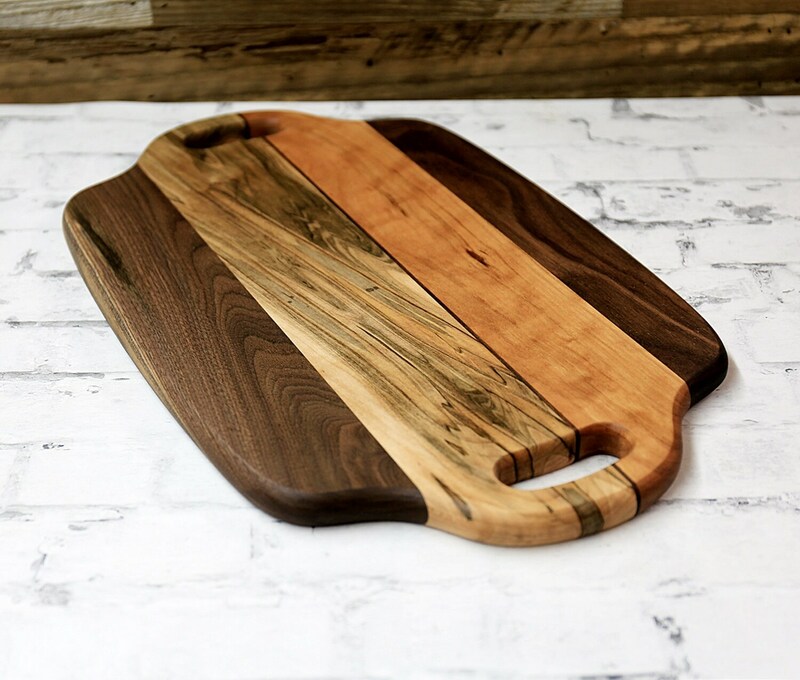 This board doubles as a cutting and serving board. The twin handles provide a comfortable grip when carrying and using. It has been sanded and finished to a smooth touch. The whole board is completely rounded on the edges. 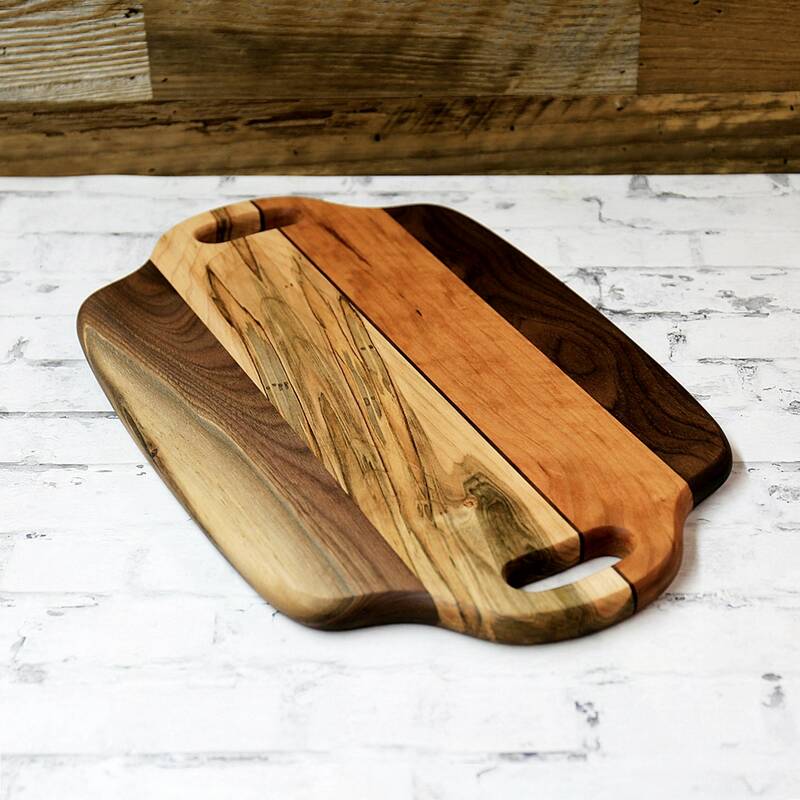 Handmade from ambrosia maple, cherry and walnut wood. Finished with mineral oil. Waxed and buffed with beeswax/mineral at time of shipment. Small natural holes in the wood (if any) have been filled. Absolutely perfect!! We love it!